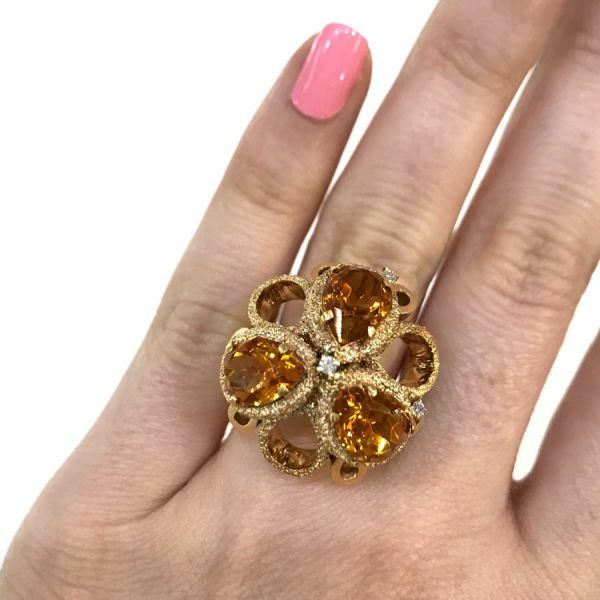 A stunning and vibrant modern 18kt yellow gold ribbon motif ring with 3 pear-facetted cut deep intense orange citrines, est. 6.54ct and 3 round brilliant cut diamonds, est. 0.07ct (clarity:VS-SI1 & H-I colour). 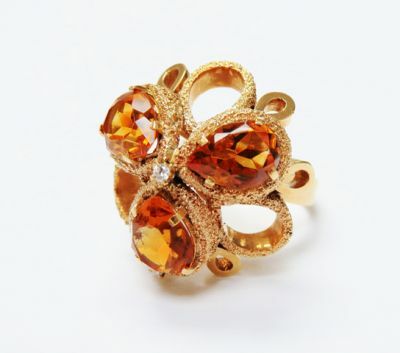 Citrine is one of the birthstones for November and believed to be a healing gemstone.